This is the most pure white Rosy Adeniums now and very very productive flowers. 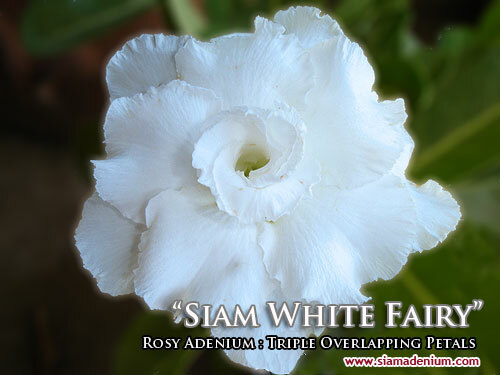 Today I would like to share our new development on Rosy Adenium with triple white overlapping petals. Developing on white is pretty hard to get on pure white because they will have tiny pink or yellow on petal borders. Pure white is the most wanted for players or collectors here. Sometimes it looks stable on mother plant, but when making 1st grafting on other rootstocks, tiny pink or yellow comes up again on border. We've spent 2 years to use our most pure white on single petal crossing with original Rosy Adenium. Just keep crossing and doing research. 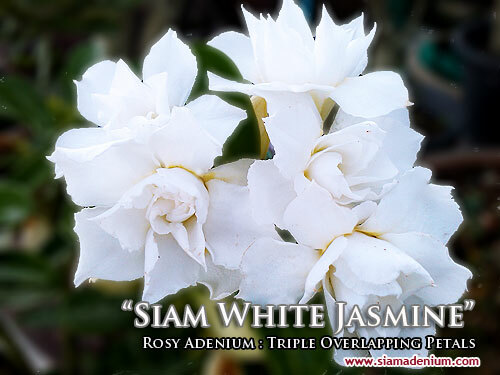 We had about 50 varieties on white Rosy Adeniums but we checked the stablility with pure white and found that only 5 varieties have the best pure white and 100% white stability (The pure white is still the same as their mothers even grafting on other rootstocks). 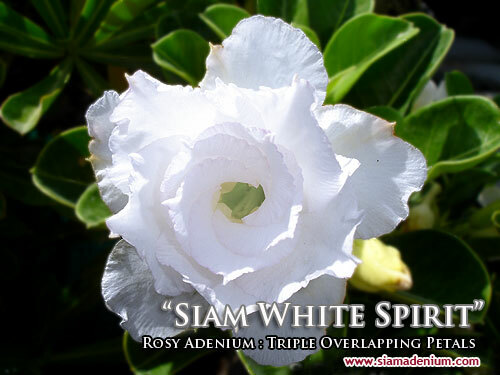 White is one of rare adenium flower' colors, mostly are red. Players or collectors have been looking for the best white to make grafting on large rootstocks. They are very nice when full blooming happens. 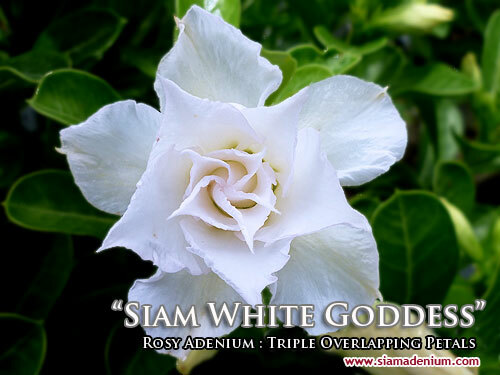 We also have new arrivals on Rosy Adeniums and Single Adenium petals with many lovely styles, please see table below. I hope you are gonna like them. Have a nice day.